This family of single target systems for the RDS-111 offers a significant reduction in operating cost for any production setting. The 120 µA version offers the same production as the Eclipse HP, but uses half the [O-18] enriched water and can be operated in a single beam mode. 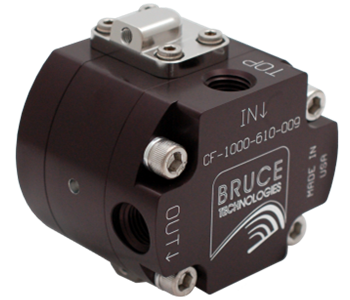 This dramatically improves the ion source lifetime, and reduces cyclotron start up and tuning time by as much as ten minutes. 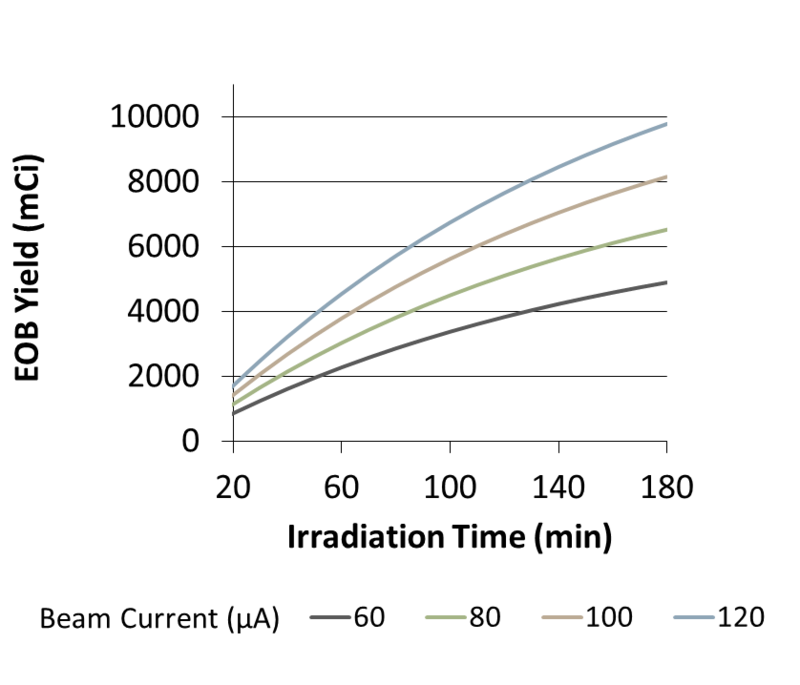 If daily dose requirements are lower, either of the smaller volume options can be utilized to minimize raw material costs. The single target port replaces the OEM target changer on the RDS-111/Eclipse cyclotron. The system includes a beam tube, vacuum isolation valve, water cooled graphite collimator, and vacuum roughing line. The assembly is constructed primarily of hard anodized 6061 aluminum for ruggedness and electrical isolation. 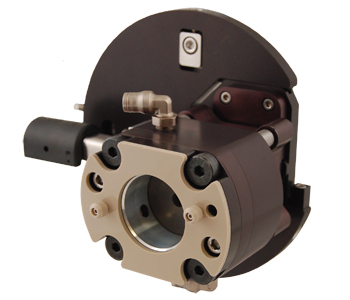 The ring collimator is made of very low porosity ATJ grade graphite to speed vacuum recovery after target changes. The assembly mounts to the cyclotron magnet return and allows for independent adjustment in x and y using adjustement screws. 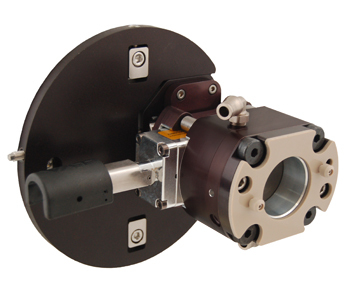 The collimator, port, and beam tube section interface with a mounting plate on a spherical bearing, which is clamped in place after alignment adjustments are made. 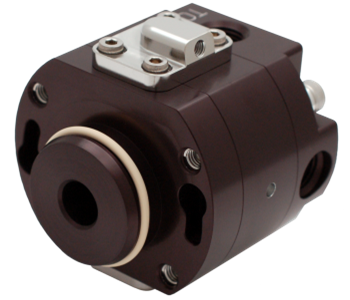 This ensures that the collimator and target are coaxial at all times and provides an extremely rigid yet easily adjustable mounting point. Annual preventative maintenance for this equipment can be completed in less than 45 minutes.